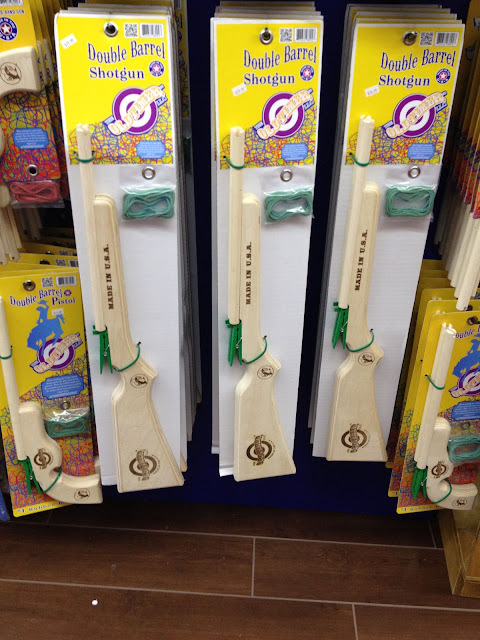 The Old Timer company makes a toy wooden double barrel rubber band shotgun sold at Buc-ee's stores in Texas. The company is owned by the son of one of my blogger friends, Wanda. When our Buc-ee's opened up I had to search out the toy and get a picture. Makes the world seem a little smaller. Wanda, BTW, is a great water color artist and her and her husband celebrated 54 years of marriage yesterday.